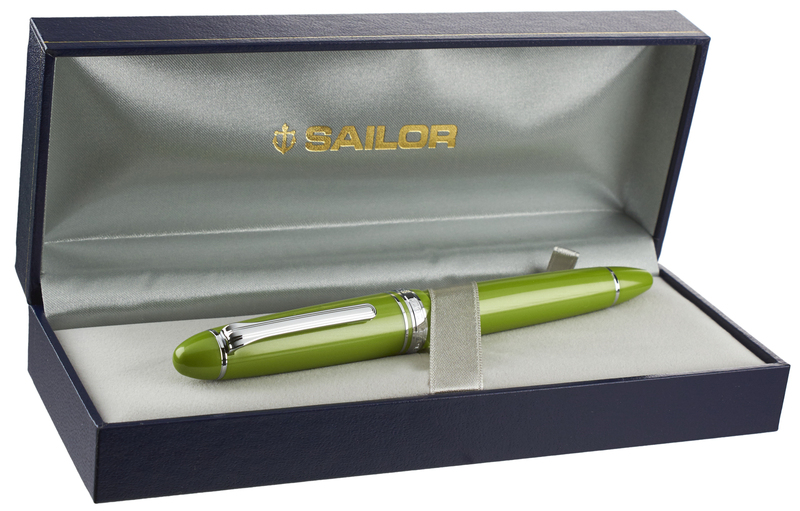 The latest in a series of pens only being made available through North American retailers, the Sailor 1911 Full-Size Key Lime is provided with your choice of 21k solid gold rhodium-plated nib. This special edition will be available for a limited time only. 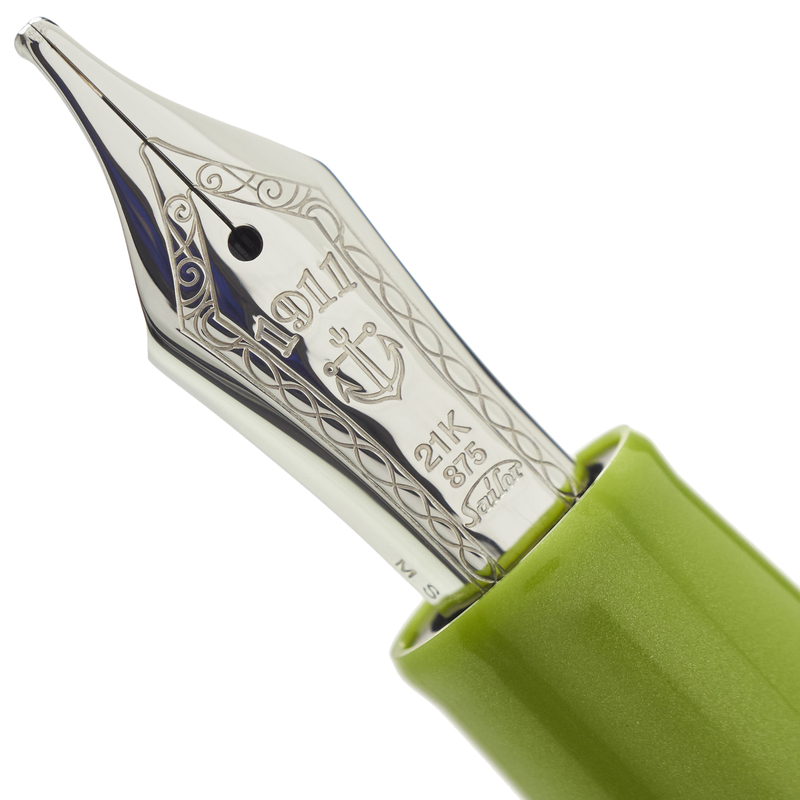 Our complimentary nib tuning adjusts optimum pressure and ink flow to your personal preferences, and our optional nib customizations provide for added line-width variation on the page, making this pen a valuable tool for calligraphy and skilled handwriting techniques. We are an authorized Sailor dealer. 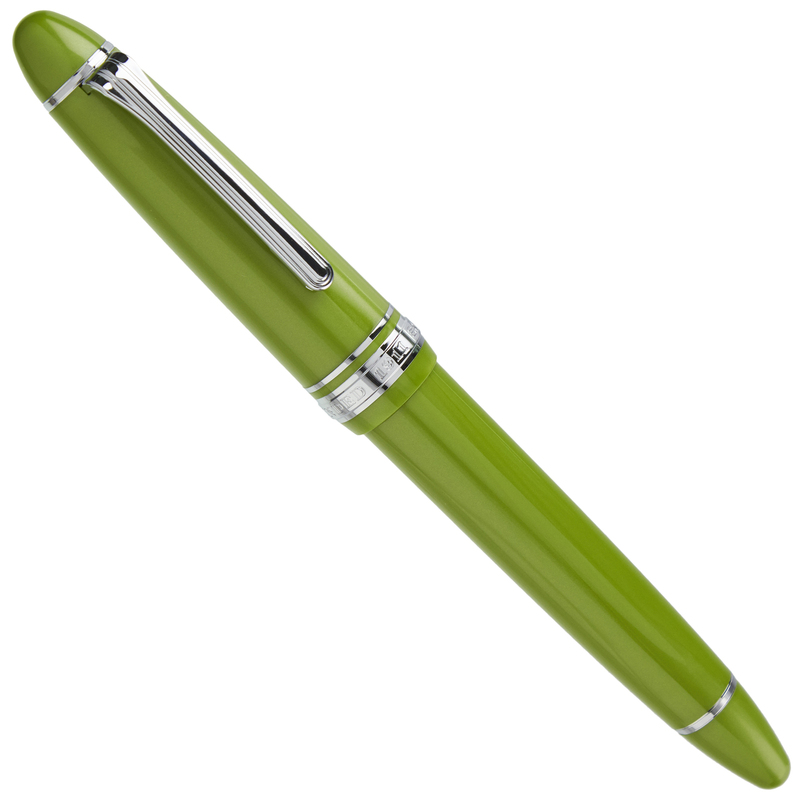 The Sailor 1911 Full-Size is already one of the most popular pen models among fountain pen aficionados, and this special release enlivens this now-classical model with a lime-colored cap and barrel and gleaming rhodium trim. 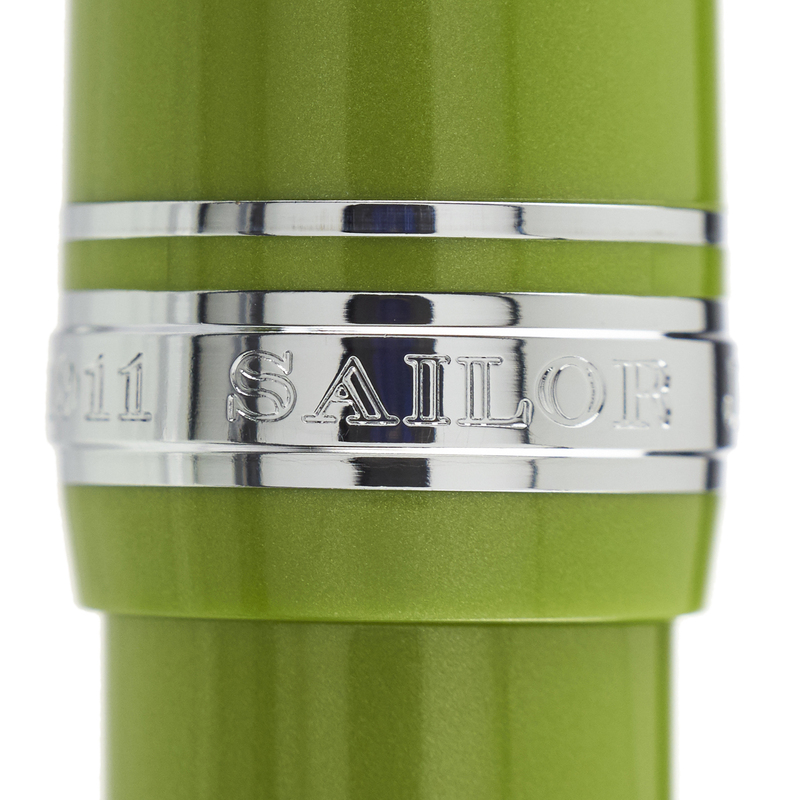 Sailor's convenient cartridge-converter system allows this pen to be filled with any bottled fountain pen ink when fitted with the provided converter. It can also use Sailor brand disposable ink cartridges. Each pen ships in a special presentation box.